Now that we have analyzed the political failures of 1968 and their consequences, we can focus on another aspect of the movement which we can also call a “failure”: the capitalist dilemma. The fact that Marxist theories failed to take in consideration the advent of incredible technological progress and the gigantic leap that it would give to the U.S. economy, and in general to the mass consumption societies, somehow hit the individuals that were actively supporting it because no one could have imagined such progress in so little time. However, that was more of a political shortcoming rather than an actual cultural one. Although the cultural aspect of the movement did not have many shortcomings it did ironically create the basis on which the consumer society built itself. Heath and Potter both state that “radical content, in the form of the hedonistic counter culture, was simply absorbed transmogrified or co-opted into the more adventurous elements of corporate consumer culture”. It is safe, for example, to say that this was the first generation to choose to follow actual mass fashion trends, which went against the traditional dress and appearance codes: men had long hair, while women had short hair and wore mini-skirts or blue jeans. That, of course, went to the complete benefit of the fashion industry which made the most out of the new market that had just then been created. Then there were the obvious musical trends and revolutions that were happening at the time and that were a fundamental aspect of the culture and protests. The Beatles are the most iconic representation of how the music industry was able to literally capitalize on the sixties post-modernist movement as they became on the bestselling artists in music history (therefore profiting greatly from capitalism). The same can be said about how the movie and show business industries adapted to the sixties movement using them to their own benefit, thanks to the market that the protesters perhaps rather “unwillingly” created for them. All of these constituted the main “failures” of the Sixties movement but there have been, like in most cultural movements, a great set of victories and heritages that have been left behind. First of all, the fact that the Sixties movement was an undeniable social success is an understatement. All the aspects that we have highlighted earlier about how the movement eventually became the first real consumer society were the aspects that empowered the cultural revolutions and created that all important “global consciousness” that changed so much in how people acted in daily situations, and that was channeled through mass media especially television. How else could we explain the fact that people reacted so differently when confronted to the Vietnam War when they had just peacefully witnessed the U.S. intervention in the Korean War 10 years prior? The 1960’s definitely marked a change in how people perceived social events. The trend was set by the civil rights movement all throughout the second half of the 1950’s and was followed by protests. The advent of a worldwide phenomenon in music, arts and literature contributed to the formation of a global culture that still exists today. Jones clearly explains that “the multi-faceted Movement of the sixties left lessons, templates and warnings of what could and could not be done and how to do them”. For instance, the templates on how protests should be made and handled are now used by NGO’s and anti-war organizations to direct protesters in a more “professional” way. Utopianism also didn’t die as some organizations today still use slogans that vastly resemble the messages and ideals that the sixties tried to pass through. These messages might have not passed politically in any major way but they did in the consciousness of people. That is how we can link certain NGO’s like the Anti-global or Greenpeace to the 1968 movement. Environmentalists too have benefited from the movement as in the following years talks about global warming, sustainable development and environmental safety have increased. Green Politics were born and became somewhat of a prominent element in politics, especially during the 1980’s when most of the Green Parties started forming all over Europe with some successes today the European green party has 55 seats in the European Parliament which makes them the 4th biggest party in Europe. Lastly, we can also talk about the feminist movement as one of the heritages left behind by the sixties movement. Many themes which are on women’s main political agenda, and which already were even before 1968, like abortion, women’s domestic work, child care and birth control were, in fact, promptly left out of the themes picked up by the student movement which solely focused on women’s sexual liberation. As a result, more or less radical feminist movements were born to fight for civil rights that were held closer to women’s interests and were eventually rewarded in major European countries by being translated into laws. Abortion and divorce laws for example were adopted in a majority of European countries in those years up until the 1980’s even if under different limitations and regulations. These victories also helped put women political rights on the agenda and we can see a slow but steady increase in women occupying political positions during those years in Western Europe. The worker movement also had some successes of its own thanks to their protests. Minimum wages were globally raised, they won the legal right to strike, reduced working week and paid holidays. A lot of these examples were set by the labor movement in France and then were followed by other European countries. These are only a few examples of how the 1968 movement has changed our society. The fact that the sixties movement has brought change and has influenced our societies in way that maybe we cannot even understand is undeniable, but the many failures that it has encountered show us that it might not have been in the way the protesters would have expected and in the manner they would like to depict it; it wasn’t a political revolution as much as it was a cultural revolution that wanted to bring a change in the mentality and in the way the people thought and acted. It laid down the basis, even if unwillingly, for today’s mass consumer’s society, it brought the concepts of generational belonging, of global solidarity and of civil disobedience. It brought global consciousness. Even though the so-called revolution did not bring the victories that it had hoped for and ultimately lost to the institutions, the ideals and the spirit that they embraced and that they brought in still very much lives on in our consciousness and the shadow of the 1968 revolts stills stands and roams in people’s minds. It is for this reason that we cannot truly consider the revolts a failure. The fact that these ideals are still present today, even though in different forms and shapes, somehow still gives hope to the people that believed and still believe in it. 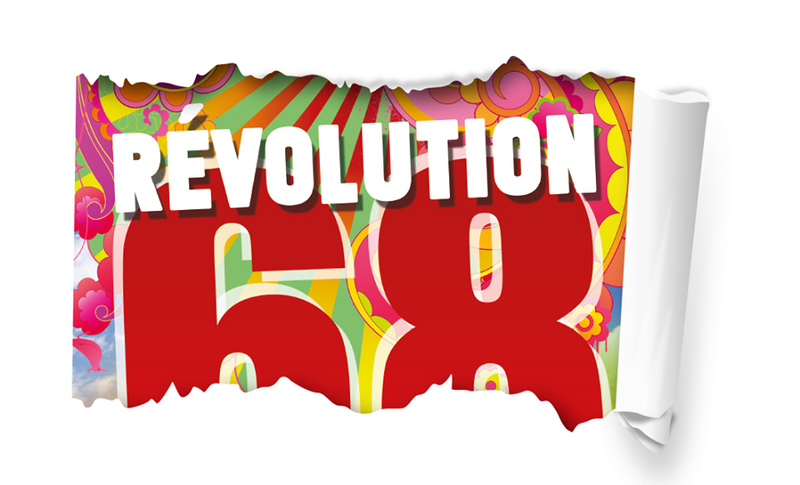 Nineteen-sixty-eight was crushed, but its spirit is still alive. Or, at least, that is how the majority of the sociologists and historians like to picture it today.